Well located in the centre of town, ibis styles Karratha sits within walking distance of the main shopping centre. Featuring 47 rooms, this Karratha hotel is warm and welcoming, with an outdoor pool, BBQ area and a bistro providing pleasant al fresco dini ng. ibis Styles Karratha also features two bars, a bottle shop and a conference room, making it a great option for leisure and business guests alike. The hotel room rate includes free continental breakfast and includes internet access. Situated in the centre of town, ibis Styles Karratha is within easy reach of Karratha CBD, its administrative centres and government offices. Guests are also close to the town's many attractions, restaurants, shops, and surrounding parks and beaches. Providing guests with a range of convenient services and facilities, ibis Styles Karratha features free onsite parking, reduced mobility services and guest rooms, in-room WIFI access, business services, air-conditioned guest rooms and in-room movies. Stylish yet functional, guest rooms at ibis Styles Karratha provide a peaceful retreat for guests to retire to at the end of a long day. 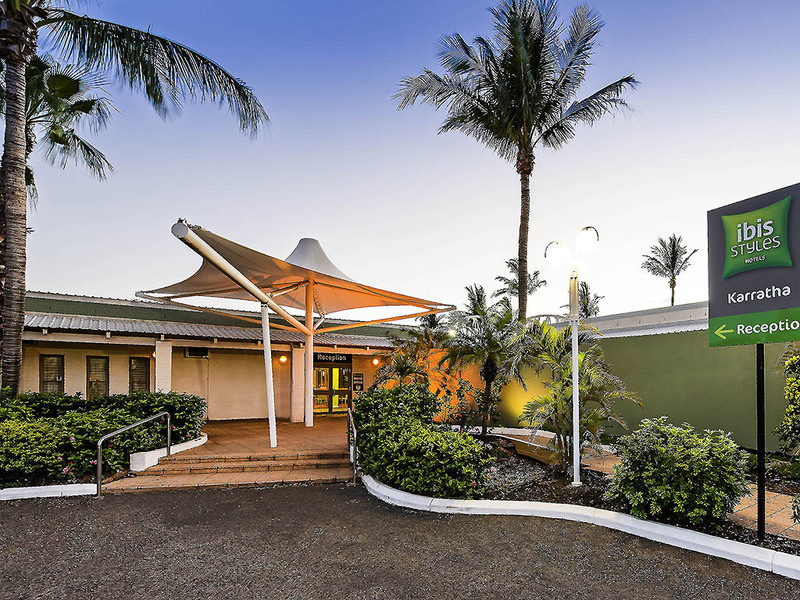 Guests searching for hotels in Karratha can choose from a selection of accommodation options at this centrally located hotel, each suitable for up to three guests. Modern and inviting, each guest room contains a range of convenient amenities, including the beautifully comfortable ibis SweetBed, air-conditioning, WIFI access, an ensuite, and a TV with in-room movies.